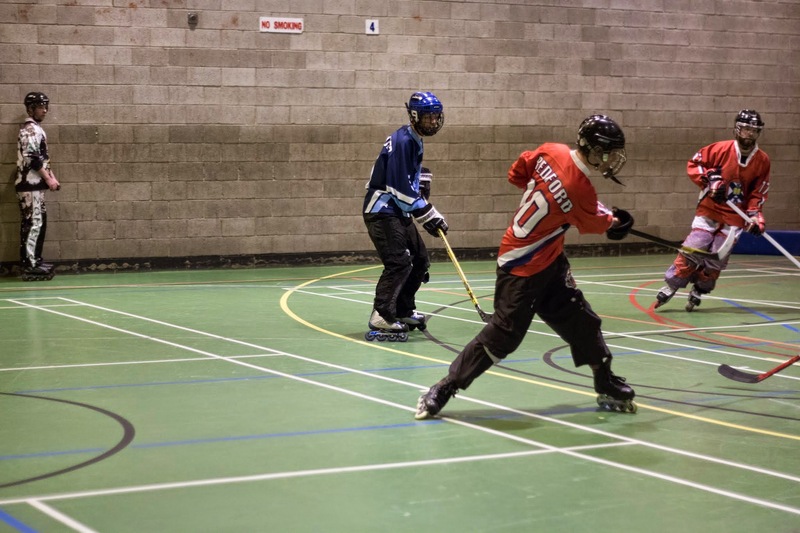 Edinburgh University Roller Hockey Club is the home of roller hockey in Edinburgh. We welcome anyone who loves the sport or wants to try it out – whether student or non-student, male or female, total beginner skater or experienced player, there’s a place for everyone. We train all year round, so if you’d like to give it a go get in touch at roller.hockey@ed.ac.uk or visit us on our Facebook or Twitter page. We look forward to hearing from you! Roller hockey is a fast paced sport similar to ice hockey played indoors on inline skates. We can supply equipment to get you started, beginner coaching, a free first session, and even home baking after most sessions – so there’s no excuse not to give it a try! If you would like to join us, please contact us on roller.hockey@ed.ac.uk or visit us on our Facebook or Twitter page.